Ruskin Park House - Why Am I Me? Website and logo designs for Ruskin Park House, a residential estate in Camberwell, South East London. 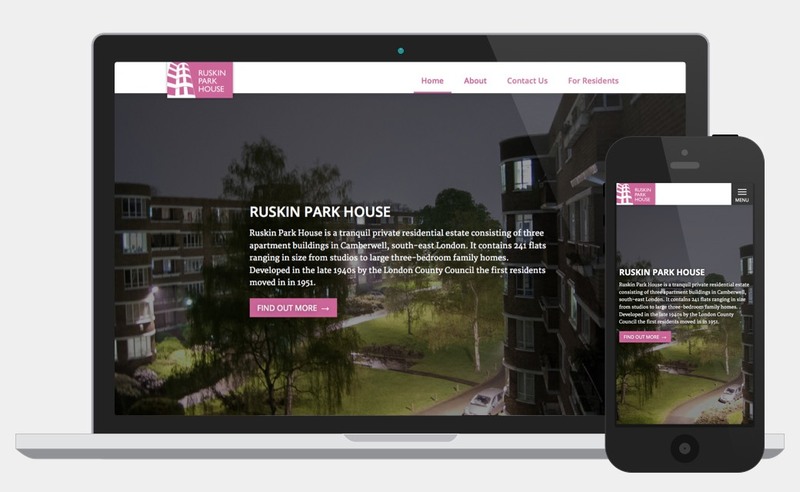 Web design and build and branding for Ruskin Park House, a 1950’s built residential estate of 241 owner occupied properties in South East London. The website contains key information for residents and interested parties with a separate password protected Residents Blog which provides news and information for current residents. The inspiration for the logo came from the building itself, featuring a silhouette of one of the Estate’s exterior curved stacked facades. The logo also uses the iconic Gill Sans typeface which used on some of the original estate signage. The Ruskin Park House logo features a silhouette of one of the Estate’s exterior curved stack facades.